According to the staff at the Prince of Wales Hotel, this is the second windiest location in Canada. They aren't kidding. 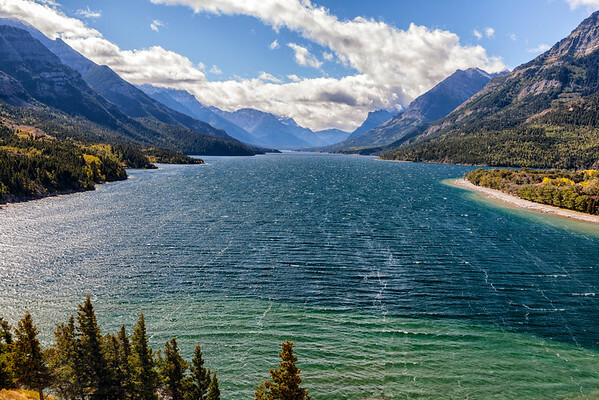 Strong winds pushed through the Upper Waterton Lake Valley. When it hit the north side bank, ( a hill about 40 feet high,), the wind was absolutely ferocious. I could hardly keep from being blown over. I had to extend the legs of my tripod horizontally as far as I could to get this photo.